The fall and winter seasons will be upon us in no time. With the temperature drop and the holidays approaching (I know it’s July, but you need to make your seasonal candles now, so start using your imagination) everyone wants candles. 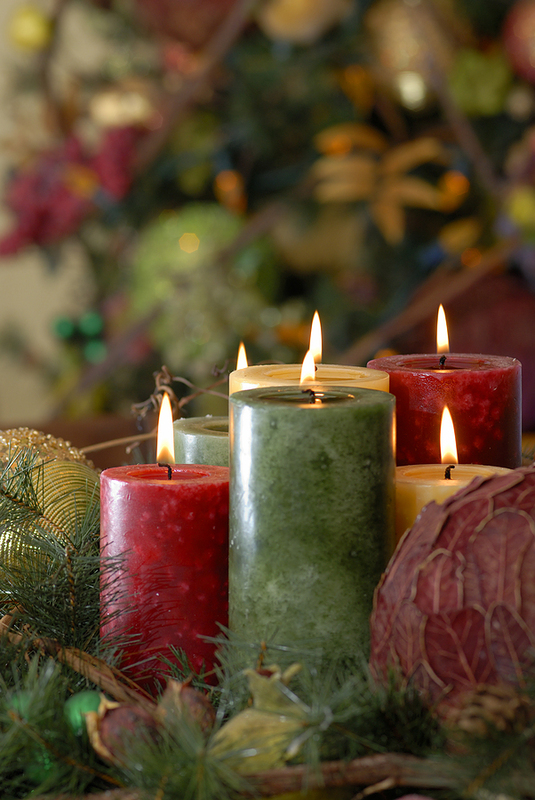 One of the favorite styles this time of year is mottled candles. Mottled candles have a snowflake style dimension on the surface. The candle will usually be smooth with a pretty design and can occur in both container and molded candles. The mottled effect is simple to create and is sometimes achieved accidentally. It occurs when oil is added to paraffin wax. Since some fragrance oils are heavier (more oily by nature) than others, they can sometimes create this effect against your will. But when you want this interesting design, adding some oil will do the trick. Prep your work area with newspapers. Prepare your mold by threading the wick through the hole in the bottom of the mold. Pull the wick tight and apply a ball of mold seal to the hole securing the wick in place. Place a wick holder on the top of the mold to hold the wick centered and tight. Melt your wax at 180 degrees Fahrenheit in a double boiler. Add 3 tbsp of mineral oil for every lb of wax you are using. Add fragrance and stir into wax. Allow the wax to cool to 160 degrees Fahrenheit and pour into prepped molds. Allow the wax to cool. Do not use a water bath or any other method to speed cooling. The mottled effect is achieved by cooling naturally at a slower rate. Once completely cooled, unmold the candle and trim the wick. As you can see the mottled candle is quite easy to make. You can make the candles in containers if you prefer. 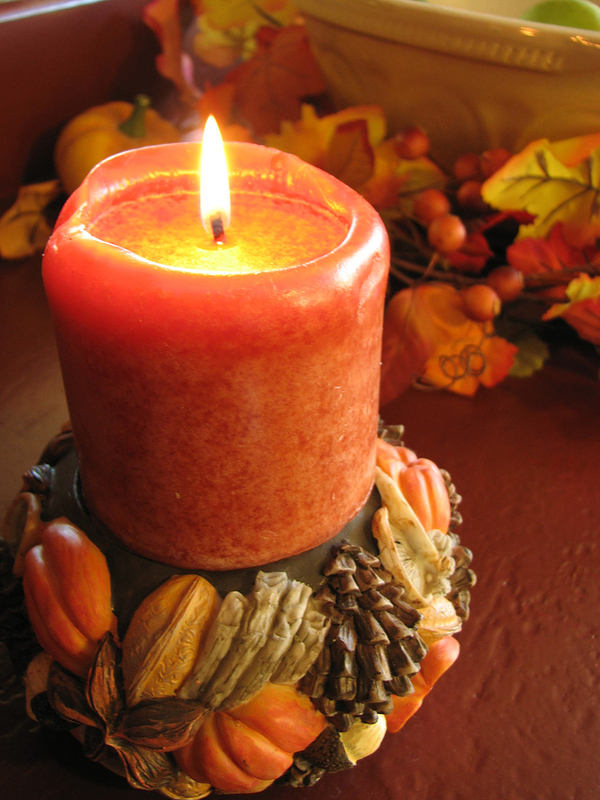 Here are some ideas for colors and scents for the fall and holiday season. Mottled candles look good in any color, but my personal favorite is with rich jewel colors. You can also use these colors and scents as inspirations for soap. Do you not feel confident with candle making, or simply lack the time because of your soapmaking? Perhaps you would like to spruce up your craft show table or your Thanksgiving table with a few quick and easy ideas. Inclusions – Tie dried decorations around the pillar candle. For example, dried orange slices, cinnamon sticks, leaves, pine sprigs, peppermints. These items can be glued on, tied on, or embedded into the pillar candles. This starting point for ideas should give you what you need to start your fall and holiday seasonal candles (and soaps). You’ll want to get started right away if you intend on having a good stock in time for craft shows this fall. Don’t forget to have fun!